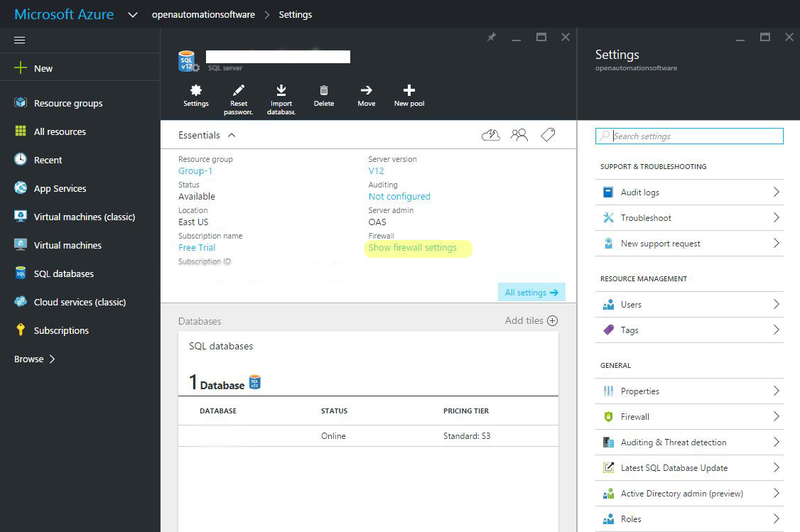 You can log data and alarms to Windows Azure as well as obtain data using the Recipe feature by specifying SQL Server as the database Provider. The following steps are helpful in setting up Windows Azure for database connections for Data Logging, Alarm Logging, and Recipe data transfer. Enter a rule name and the IP address range for your OAS System. Use SQL Authentication in the Data Logging Group, Alarm Logging Group, or Recipe Group that you are using to connect Windows Azure. 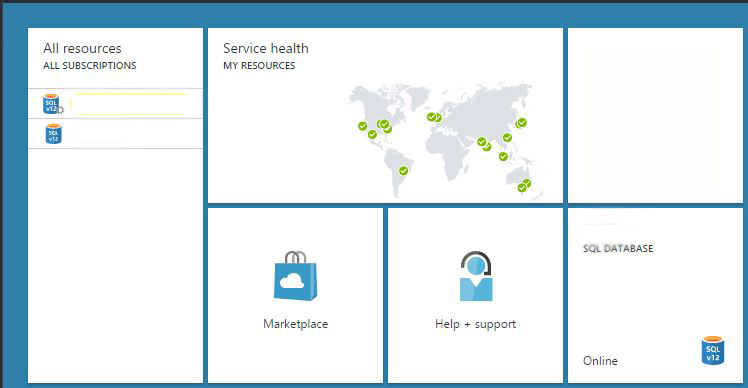 Tip: If you log into Azure from the PC that has Open Automation Software on it the IP address is displayed to the right of the Client IP address.